Last year - my youngest sister announced she was Pregnant. Well anytime people announce they are having a baby it is special and it immediately means I get "the excuse" create a new handmade gift. Once she knew she was having a little girl - it meant I could get designing something very sweet and girly for her arrival. 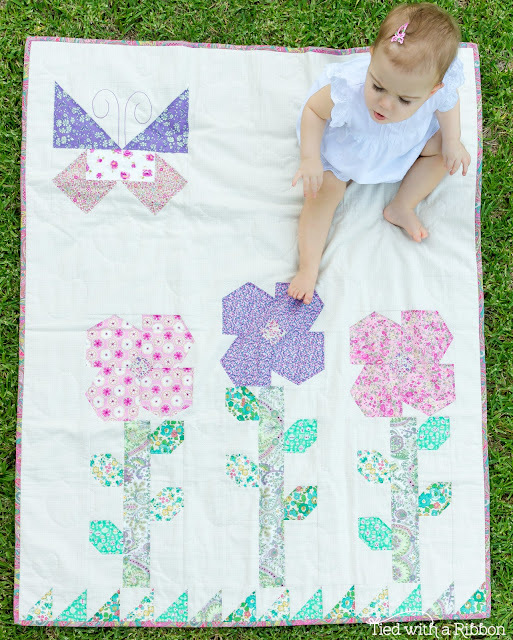 I knew exactly what design I wanted to create and I had my own two girls help to pick out these beautiful Liberty Fabrics in Pinks, Purples and Apple Greens. 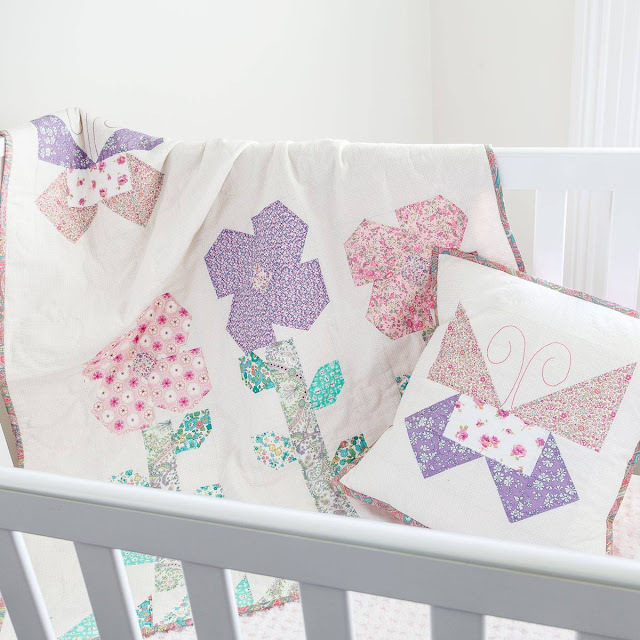 These flowers and butterflies are set among this amazing Japanese Linen that I had been hoarding for just such a special project. Together these fabrics are so soft. "Amity's Garden" was then named once my sweet little niece arrived - and she is just so delightful. 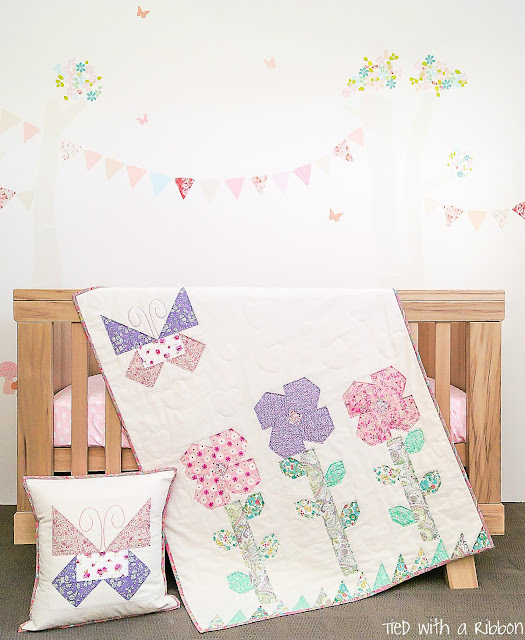 This set features a Cot size Quilt and matching Cushion. 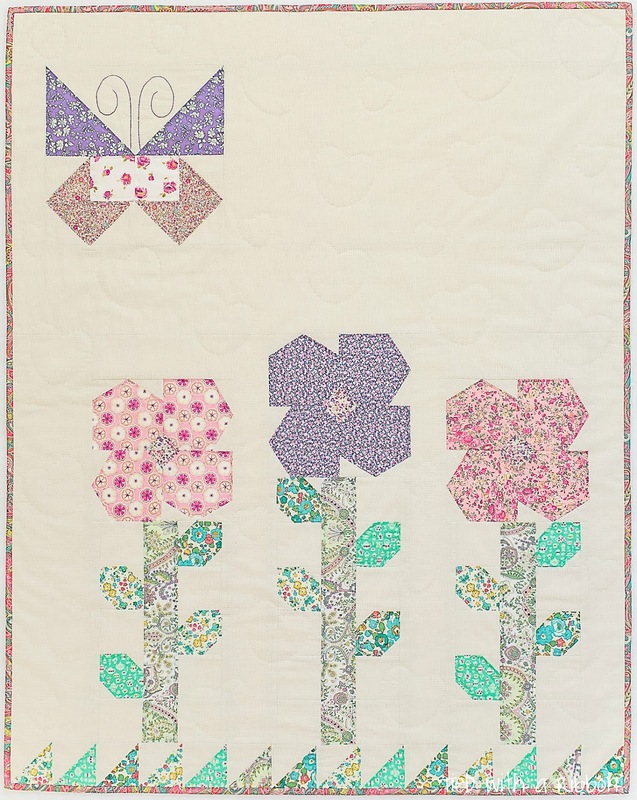 Amity's Garden was featured in February's, 2016 issue of Homespun Magazine. 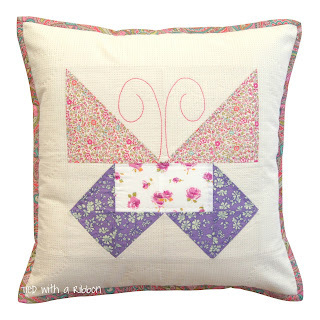 I decided to hand quilt the quilt and cushion - I used matching Auriful 12wt threads to outline the flowers and butterflies and then used a stencil to outline hearts into the background of the Quilt. 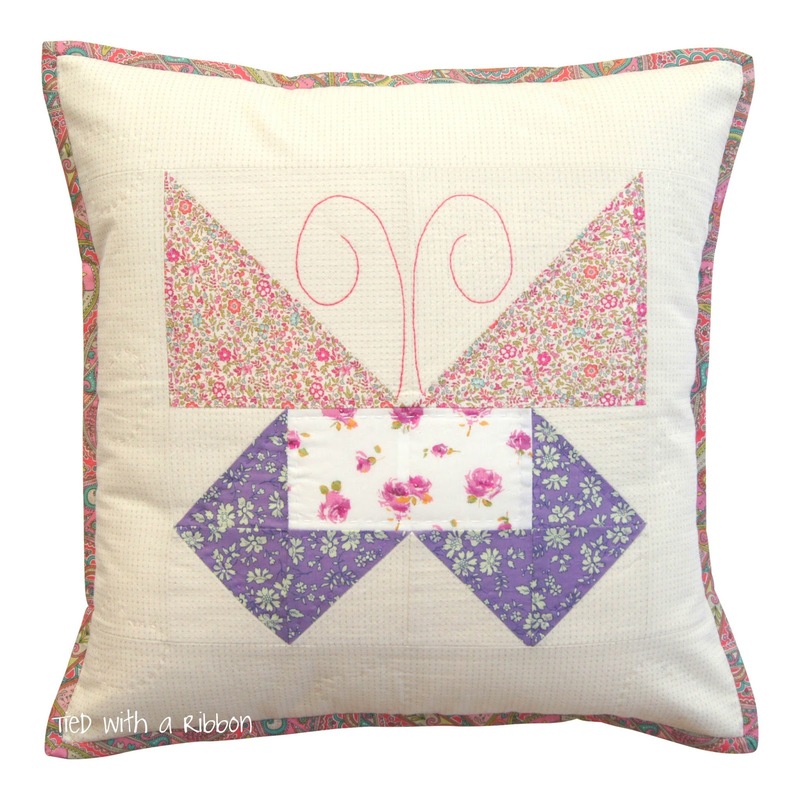 These made for a special feature of the quilt (although difficult to see from the photographs). PDF pattern in my store. Also available wholesale through my distributor Creative Abundance for stores looking to stock this and other patterns in my range.